The Plotkin Inquiry: IP and Tech Law Review: Win By Pin: Pinterest's Latest Battle for the Word "Pin"
Win By Pin: Pinterest's Latest Battle for the Word "Pin"
Last October, Pinterest, the popular social networking platform sued a travel planning service called Pintrips in California District Court for trademark infringement, false designation of origin, unfair competition and dilution of their “PIN” family of trademarks. For those unfamiliar with Pinterest, it is a website whereby users (“Pinners”) collect images, recipes and other visual content and “pin” it to their user page (“board”). Much like the Facebook “like” button or Google’s “+1”, Pinterest has a “Pin it” social plug-in that third party sites integrate into their web pages. This is the vehicle by which Pinners add to their boards; by pinning images found on other websites. By its own description, Pintrips offers a service where you can “…shop for flights on your favorite sites, pin the options you care about, and see them on a personalized dashboard.” It markets itself as a travel facilitation application rather than as a social networking platform. Pinterest’s claims are based on the Lanham Act and the California Business and Professional Code. Among other things, Pinterest claims that it had acquired rights in the “PIN-formative” trademarks before the Defendant began using its marks, and that the Defendant’s marks are confusingly similar and are likely to deceive the public into thinking that they are affiliated with the Pinterest brand. Pinterest’s claim for dilution is based on its assertion that its marks are famous, and have been so since before the Defendant started using its marks. They argue that Pintrips knowingly branded itself so as to capitalize on Pinterest’s goodwill. Pinterest asks for interlocutory and final injunctive relief, delivery up and destruction, disgorgement of profits and compensatory damages. While Pinterest acknowledges that the scope of its marks far exceed the travel industry, the Complaint alleges that the Pinterest travel section is one of the most popular parts of the website with more than 600 million total pins. Even if the State law claims survive, the Court should decline jurisdiction in favour of the State Courts. Setting the jurisdictional issues aside, Pintrips is arguing that “pin” is a generic term that describes a function. They argue that Pinterest has no trademark registrations for PIN and should not be able to obtain one given the market restricting effect this would have on a number of different web-based businesses. This is a key element of Pintrips’ argument because Pinterest will doubtless argue on the motion that pin has acquired secondary meaning associating that prefix with its brand; and this regardless of what comes after that prefix. Oddly, Pinterest failed to allege that its family of PIN-formative trademarks are so strong that PIN has acquired secondary meaning. Pintrips has cited law to the effect that regardless of how strongly the public may associate a generic term with a given brand, trademark status cannot be granted in the generic term. This strong consumer association with a generic term is known as de facto secondary meaning and has been rejected by courts as sufficient grounds to claim ownership over a generic term like “PC” or “MP3”. Pintrips provided a number of examples where companies use pin as a generic term in association with “software applications, online maps, and websites”. Among those applications mentioned were Microsoft Windows, Facebook and Google Maps. It would appear that the law backs up Pintrips’ argument. At the hearing of the motion (Scheduled for February 13, 2014), it will be essential for Pintrips’ counsel to drive home the point that “pin” is a commonly used term to denote a specific type of action in the online environment, namely marking a specific thing or place on a webpage (Google Maps), or the act of posting content from a third-party website to a user page of some sort (Facebook and Pinterest). It may be tricky to convince a judge, particularly one who is not in the habit of pinning things online, that pin is in fact a generic action in the online environment. It may be helpful for Pintrips to liken the action of pinning to the action of posting. Posting is a familiar action online and can relate to any number of things, some of which could also be described with the term pin. Whether I say “he knocked the ball out of the park” or “he hit the ball out of the park”, without any other information, the mental image one forms in their mind is that of a batter making contact with the baseball hard enough to propel it out of the field. Whether I say “he jumped off the building” or “he leapt off the building”, without any other information, the mental image one forms in their mind is the same. In the same way, posting a photo or pinning a photo amounts to the same thing. Both are generic terms denoting a single action. Upon a search of the USPTO trademark database, it appears that Pinterest has applied for PIN (Serial no. 85698998) in association with a wide range of goods and services. 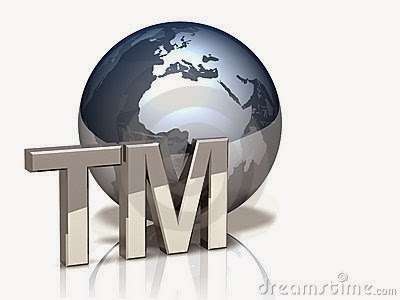 The opposition period has expired but the trademark has not been registered. Pinterest also claims registrations in several other jurisdictions. Pinterest’s claim is not based on a trademark registration, but on Common Law rights. Much of their argument turns on the fact that a great deal of its popularity comes from its third party plug-in buttons; and that the Pintrips button (that may be alongside the “Pin it”) button causes confusion and dilutes Pinterest’s brand. The fact that these buttons may appear side by side is a functional reality. Websites that use these third-party plug-ins tend to put them all in the same place on the page. From a visual inspection of these marks, it would appear difficult to confuse them. Apart from the word pin, the marks are completely different. The “Pin it” button has red text with a stylized font. The Pintrips button is in a plane blue font. The Pintrips mark also contains a visual depiction of a sewing pin. In the “Pin it” button, the word pin is a prefix. In the Pintrips button, the word pin stands alone and comes after the image of the sewing pin. Pinterest argues that in addition to appearance, the confusing trademark sounds the same or confusingly similar. Depending on how one pronounces the word “interest” (in two syllables or three), this may be true. But here, Pinterest can only be comparing its PINTEREST mark with PINTRIPS; not their respective third-party plug-in buttons depicted above. This is not self-evident given the drafting of the Complaint. While this is only a partial analysis, it may be for naught if the Judge agrees with Pintrips on their motion and dismisses the complaint before arguments for confusion are ever made. Suffice it to say that Pinterest will be fighting an up-hill battle on this motion, and if they succeed, perhaps in the ensuing jury trial. This is a typical David vs. Goliath situation. The fame of the Pinterest trademarks is beyond question. However, as Pintrips argues, no degree of notoriety should give anyone a monopoly on a technical or generic term. In a somewhat related turn of events, last November, the European Commission’s Office for Harmonization in the Internal Market, Trade Marks and Designs Division rejected Pinterest’s opposition to a registration for PINTEREST by a news aggregator website and corporation called Premium Interest Ltd. This means that if Pinterest wants to operate officially in Europe, it will have to either change its name or buy a license from the Registrant.